Set in the 1870s, Edith Wharton examines the American elite culture on the East Coast. Newland Archer is a lawyer and heir to one of New York City's most prominent families. He is arraigned to be married to May Welland. Newland is pleased with the prospect, under he meets Countess Ellen Olenska, May's older cousin. Suddenly, Newland begins to doubt his arranged marriage and society's shallow rules as his attraction to Ellen increases. Edith Wharton (1862 - 1937) was an acclaimed American novelist and a Pulitzer Prize winner. Known for her use of dramatic irony, Wharton found success early in her career with The House of Mirth, which garnered praise upon its publication. 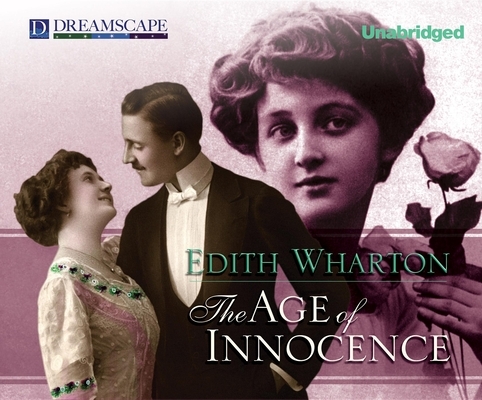 She won the 1921 Pulitzer Prize for her tour de force, The Age of Innocence.